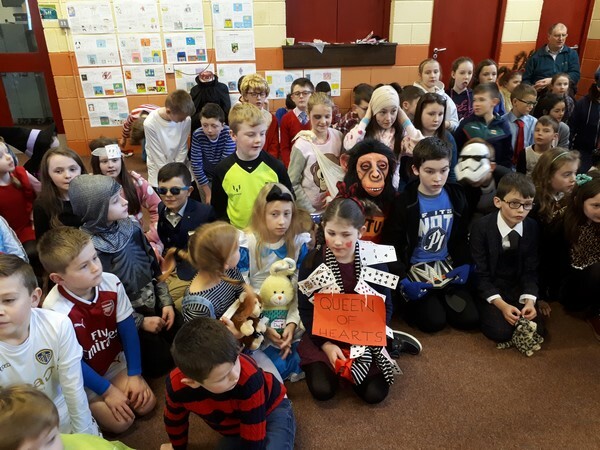 Book Week took place in St. Aidan’s N.S. from Mon 27th Nov – Friday 1st Dec. This is an annual event and helps to further promote an interest in and love of reading. 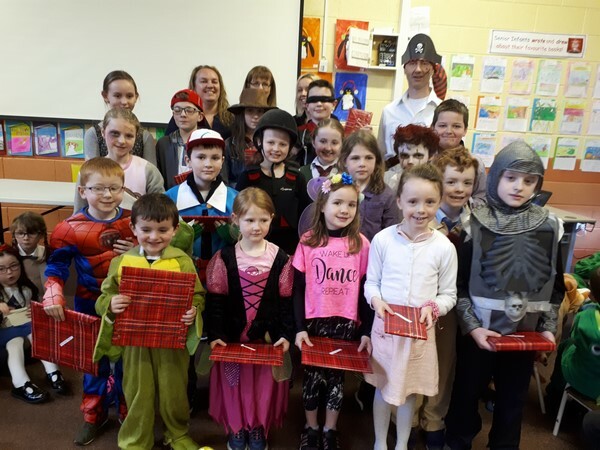 Various activities took place during Book Week such as Storytime with visiting story tellers, workshops with visiting writers Kate McMahon and Garriel Fitzmaurice, Buddy Reading ( Junior and Senior Classes), a Table Quiz, D.E.A.R. Time (Drop Everything and Read) and writing stories and book reports . 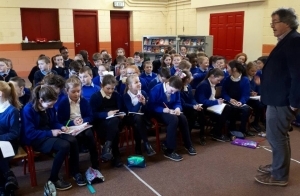 Classes from 3rd to 6th took part in a Writers Workshop with Gabriel Fitzmaurice poet and writer,where enjoyed listening to readings and writing their own poems. 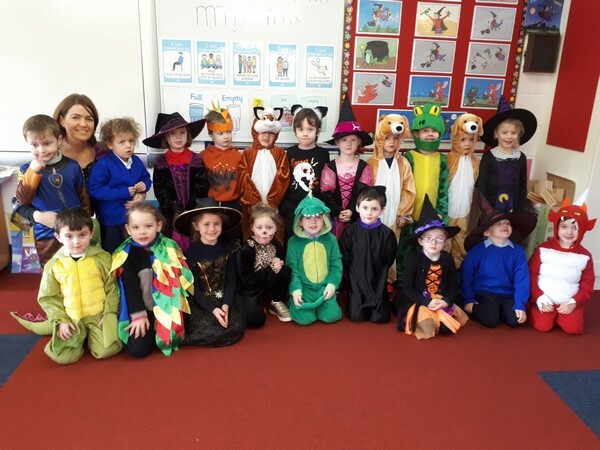 Junior Infants read the book Room on the Broom by Julia Donaldson, Axel Scheffler, made a class book and dressed as characters from the story -witches, dogs,cats,frogs and dragons on Character Day. We held a Book fair -lots of children purchased new books. Thanks to the Parents’ Association for all their help at the cash desk! 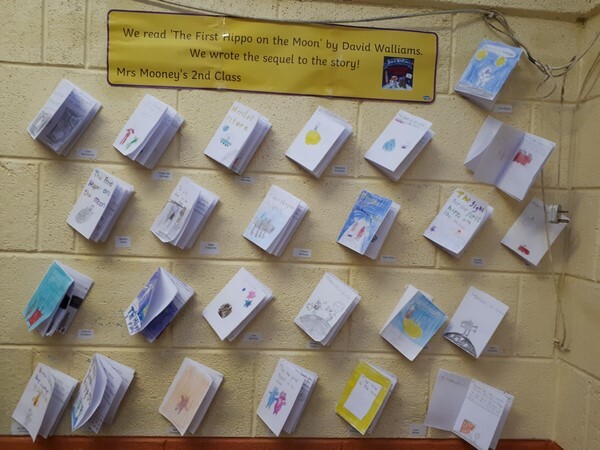 A competition was held in each class and all illustrations, book reports and writing were displayed in the school hall. Prizes were sponsored by the Parents Association. Congratulations to all the winners.